This has been a week full of a lot of emotions and anger. Since April a zero-tolerance policy has been in effect on the Mexico border. That meant that people coming across would be prosecuted in a criminal court. The end result of this zero-tolerance policy was that young children were separated from their parents. In some cases, even infants were isolated from their mothers. For much of the U.S., a bold line had been crossed. Even some of the most fervent proponents of a strong border said this was wrong. The media, social media, and petitions to Congress actually made a difference. The policy on separating families was changed with the stroke of a pen. No doubt, there is a long way to go on immigration and the border, but for now, one great injustice has been reversed. The issues on the border are intricate and difficult, but there is one thing all Christians should want: Justice. Why? Because King Jesus is just. With justice comes a sense of fairness and impartiality. 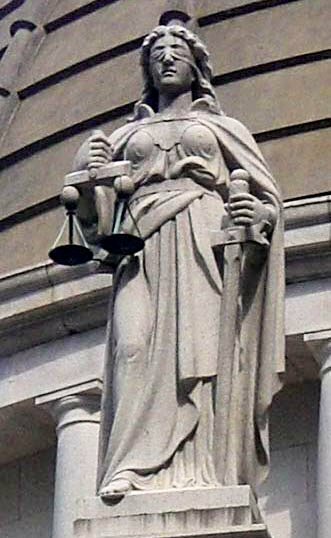 In our country, we actually personify justice as a blindfolded woman holding scales. Why is she blindfolded? Because justice means getting to the truth without favoritism or partiality. It's deciding on what's right without taking into account externals like race, gender, attractiveness, culture, wealth, or age. The new zero-tolerance policy seemed anything but blind. James refers to of partiality as, "Receiving the face." The phrase is so Jewish that he had to coin a Greek word to describe it. It comes into English as "Favortism" or "Partiality," but it's a euphemism for the evil of judging people based on outward appearances. Partiality and discrimination is nothing new. James was dealing with it in the ancient church and humanity has been dealing with it since the third page of the Bible. This week James brings one of his most challenging messages on the evils of favoritism. He gives a critique of Christ-followers that... Let's just say, doesn't "receive the face." He has something for everyone. Join us Sunday as we take an in-depth look at favoritism in James 2:1-13. This summer we're putting on a free soccer clinic in JP. If you're interested in serving in the community, making a difference, and sharing the gospel, Soccer Nights is for you. Join us after church to learn more about getting involved. CG's are great, but sometimes it's hard to break in. During the summer we're having some special Community Group events where you can come hang out, get to know people, and have some fun. The first of these is CG Game night. Older PostCan You Hear Me Now? On Friday Jesus was crucified. Before Sunday down he was placed in Joseph of Arimathea’s tomb. Night fell and the Sabbath started. If you haven’t seen the Academy Award-winning movie Spider-Man: Into the Spider-Verse, you probably should. In my opinion, it’s one of the best superhero movies to come out… ever. And there are a lot of those at this point. On August 29th, 2005, after strengthening over the Gulf of Mexico, Hurricane Katrina made its second and third landfalls over the states of Mississippi and Louisiana. It devastated Gulf Port Mississippi and then during the next few days as the waters rose, it overwhelmed the levee system of New Orleans and flooded the city and the surrounding area. As a result, more than 1800 people died, and 10’s of 1000’s were displaced by the evacuation. The artist Banksy is nothing if not controversial. You may have seen his images in the wild or, most likely, you’ve seen them on the internet. Banksy's most famous stencil painting is the girl letting go of the heart balloon. Recently, he was in the news for a painting sold at auction that halfway shredded at the drop of the gavel… and doubled its value! One of the least culturally attractive doctrines of Christianity comes from the mouth of Jesus himself.